Testing for the US Marine Corps’ Amphibious Combat Vehicle increment 1.1 programme is now underway, with contenders lining up to replace the force’s battle-weary Assault Amphibious Vehicle fleet. Two teams have been awarded EMD contracts for the competition, which is shaping up as one to watch despite several misfires in its conception over the last decade. Claire Apthorp finds out more. Ok. So Naval Technology is gonna give us an over view of "how we got here instead of a real deal comparison of the Contenders? I feel like I got click baited but I can roll with that for a little while. Check out what they go on to say. The request for proposal for ACV 1.1 was released in March 2015, but as industry players began to work on their bids it became clear that the majority of them would be tailored to meet the full ACV 1.2 capability, leading top USMC officials to suggest that the two increments may be merged as the programme moves forward. "The Commandant of the Marine Corps, General Joe Dunford, said that as the 1.1 vehicle was being developed to operate 90% of the time ashore. 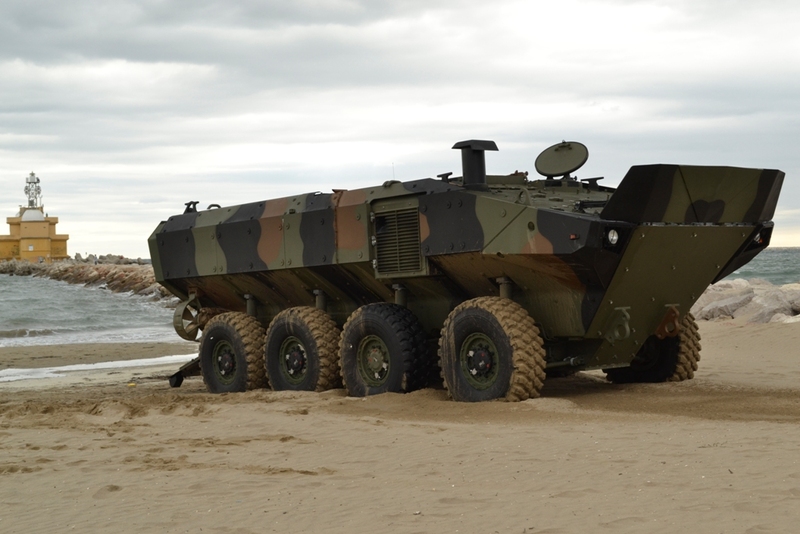 "At a US Senate Committee on Armed Services hearing on 10 March 2015, the Commandant of the Marine Corps, General Joe Dunford, said that as the 1.1 vehicle was being developed to operate 90% of the time ashore, it will be optimised for ground protection and mobility ashore with limited self-fording capability, with the second phase vehicle to offer a solution with a greater capability than the current AAV, able to self-deploy from an amphibious ship. The highlighted part is important and I haven't emphasized it enough (neither has the Marine Corps). Oh and be advised. This is where you accuse me of being a fan boy for the ACV program! HQMC was too cute by half and caused a bit of this confusion by the rebranding. But let's be clear the ACV 1.1 was SUPPOSE to be the MPC reborn. A Marine Personnel Carrier that would be transported ashore by LCAC and provide superior armored protection to the AAV once ashore. Manufacturers developed vehicles (clever contracting by the program office) that EXCEEDED the requirements in ACV 1.1 and instead of those vehicles NOT being credited for exceeding those requirements they were rewarded. Do you get the force of connection there? 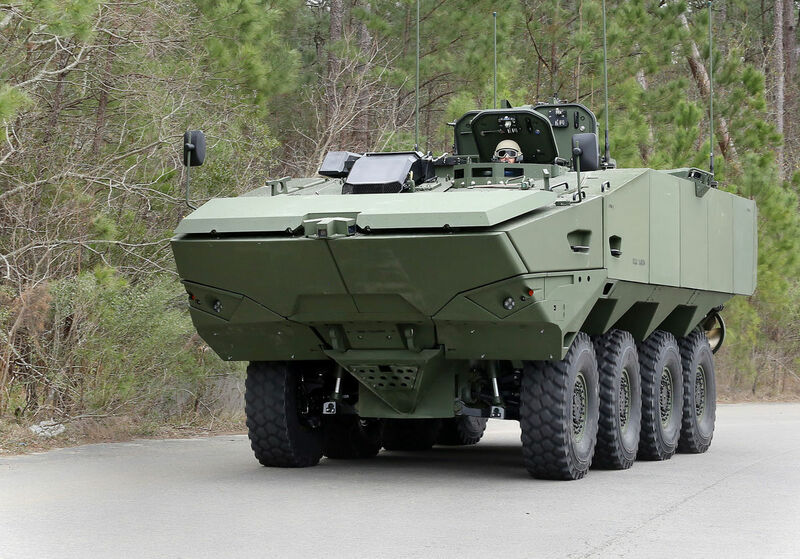 For one of the few times in military contracting, we're seeing a vehicle exceed a basic requirement that added almost no additional cost to the program, yet will make it magnitudes more effective for the force buying it. The Marine Corps isn't highlighting that point and I haven't been pushing it, but there you have it. HQMC fucks up on a daily but they need a MASSIVE pat on the back for this one! It is highly likely that the successful contender for the ACV 1.1 will go on to develop the 1.2 vehicle, with the USMC not expected to return to the drawing board for the second phase. Some 204 1.1 vehicles will be purchased by the USMC, and a further 400 increment 1.2 vehicles. With both of the EMD contenders leaning toward the higher spectrum self-deploy capability of the expected 1.2 vehicle, and –although the test campaign will remain true to the 1.1 RFP requirement, it is likely that the USMC will be assessing which vehicle could be most easily developed to deliver the truer self-deploy from vessel and higher threshold swim capability. That successful bidder will be announced in 2018 and the first 1.1 increment vehicles are set to enter service in 2020, with all deliveries complete by 2023 – a quick turnaround time for a big programme that leaves its contenders with everything to fight for. I know everyone has doubts about the program. I'm one debate away from being either rabidly in favor, or opposed to the whole thing. One thing is obvious though. We need a next generation combat vehicle to carry our Marines to war on the ground. For better or worse its the ACV 1.1 & 1.2 for the immediate future.